One of the most disconcerting things about having Thanksgiving come so early this year–as early as it can possibly come, actually–is finding myself with an extra week of November, afterwards. For years I’ve become used to thinking of Thanksgiving as the snowball that gathers momentum, precipitating the mad rush to Christmas, Hanukkah, and all the other winter holidays. Instead, there’s this unaccustomed additional week: an extra seven days to catch one’s breath and gather one’s forces before diving into the next giddy round. So, strange as it feels, I’ve decided it’s something else to be thankful for, along with family, friends, a home, good health, good food, and good books. Not that I don’t enjoy Christmas–I do, more often than not. Yes, you’d probably have to drag me kicking and screaming to a shopping mall on Black Friday (cyber-shopping for the win!). And there can be stress and pressure, not to mention everyday irritants that balloon into huge ones during the holidays, but along with those, there’s more time to spend with loved ones, new films and books being released, bright lights and decorations to offset the winter gloom, and the attempt–by most people at least–to be a little kinder and more thoughtful towards each other. And there’s music. In my mind, Christmas is inextricably associated with music, more than any other holiday on the calendar. Granted, not all of it is wonderful. 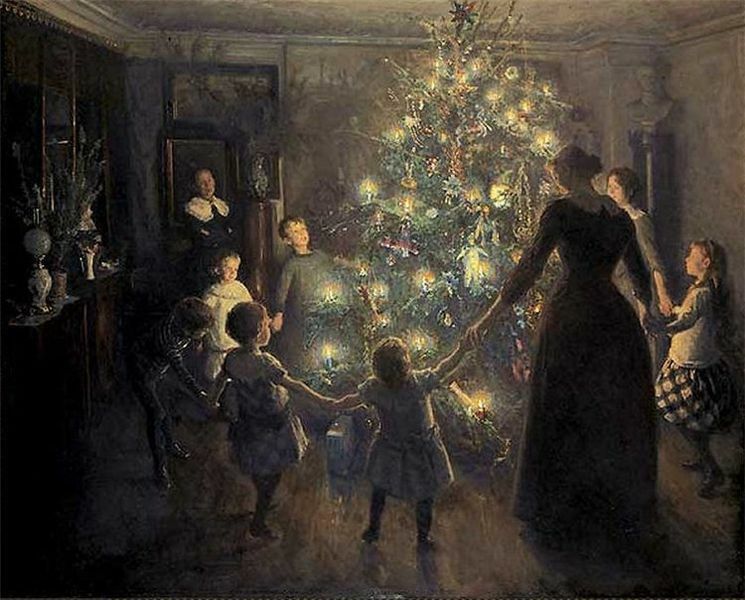 The more modern, secular Christmas songs tend to get the most airplay in public, and after hearing “Chestnuts Roasting on an Open Fire” and “It’s the Holiday Season” dozens–if not scores–of times between Thanksgiving and December 25, I have to admit they wear out their welcome with me pretty fast. Over the years, however, I have discovered several, less familiar Christmas songs that don’t pall after repeated listenings. 1. “A-Soalin’ (Soul Cake)”: The lyrics sound and probably are traditional, but the musical arrangement was done by Noel Paul Stookey, one of the folk trio of Peter, Paul, and Mary, in 1963. The interweaving guitar parts and the vocal harmonies are all lovely. 2. “Bethlehem Down”: Composed by Peter Warlock in 1927, this song portrays a poignant moment in which Mary envisions a triumphant future for the infant Jesus, with no inkling of the sorrow that lies ahead. I’ve heard several versions but my favorite so far is Erin Bode’s devastatingly simple rendition on her album A Cold December Night. 3. “The Peace Carol”: Written by Bob Beers in 1971. But I first heard it sung on a Christmas special, starring John Denver and the Muppets, in 1979–as a duet between Denver and Scooter(Richard Hunt, one of the best singers among the Muppet performers). Like “A-Soalin'” and “Bethlehem Down,” “The Peace Carol” has a timeless appeal. 4. “It Doesn’t Have to Be That Way”: Nothing about the title clued me in about this being a Christmas song, but it is: a wistful but ultimately optimistic song about a man who regrets his break-up with his lover and hopes they can reconcile at Christmas because “it’s only right.” I pretty much love every song Jim Croce ever wrote and/or sang, and this is no exception. While the setting of this one is modern–composed in 1973 and referencing sidewalk bands and street-corner Santas–the loneliness and longing to be with the one you love are universal. 5. “Merry Xmas, Everybody”: Cheerful and rambunctious, this 1973 song by the British rock group Slade captures all the happy chaos of a modern Christmas, from a house overflowing with relatives to wild rides down the hill on a homemade toboggan. My favorite lines are “Does your granny always tell ya that the old songs are the best? / Then she’s up and rock ‘n’ rollin’ with the rest.” Go, Granny, go. So readers, what are your favorite holiday songs? Do you prefer the modern/secular or the traditional/religious? And have you discovered any hidden gems in the vast sea of holiday music? I will be giving away an ARC of my debut novel, Waltz with a Stranger, to a commenter this week. No, not that kind. Though this one is rather handsome, in a Byronic way. 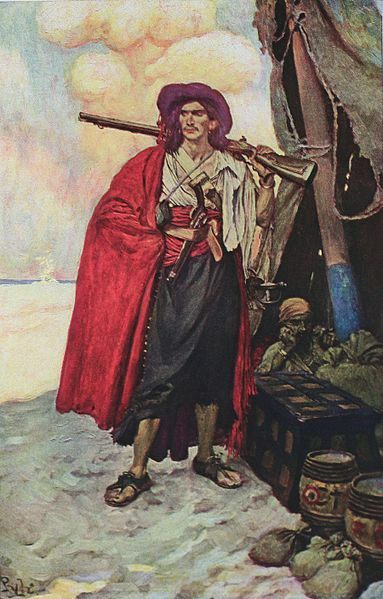 And wasn’t Howard Pyle a marvelous illustrator? As immortalized in Edith Wharton’s last, unfinished novel, the Buccaneers were wealthy young American girls who, snubbed by Old New York society, made the transatlantic crossing to England in search of aristocratic husbands. Their beauty, determination, and money made them highly attractive to cash-strapped peers and ambitious young professionals. Between 1870 and 1910, the “Buccaneers” married into the ruling class, propping it up for at least one more generation. 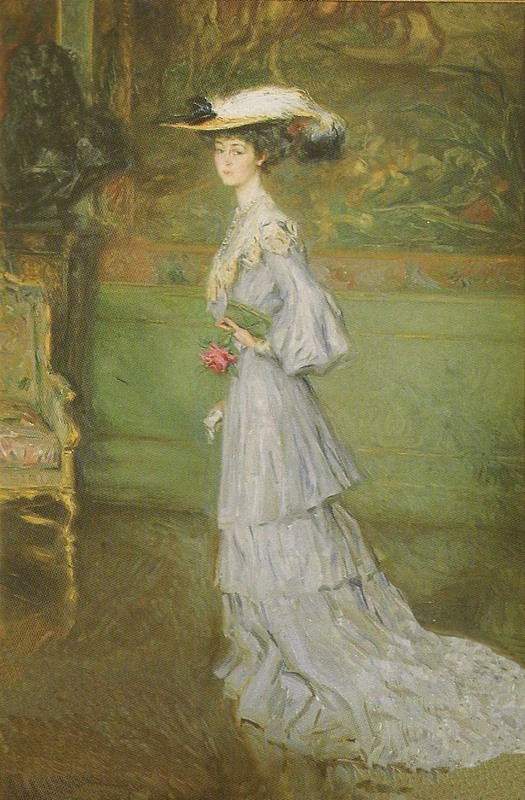 Arguably, the best-known of these was Consuelo Vanderbilt (above), groomed from childhood to marry a duke. Possessed of rare beauty, enormous wealth, and an ambitious and domineering mama, Consuelo married the ninth Duke of Marlborough in a lavish 1895 ceremony considered by many to be the wedding of the century. Sadly, the marriage was not a success. After producing the requisite heir and spare, the Marlboroughs separated in 1906. Their marriage was later annulled so that Consuelo could remarry, this time for love. She eventually related her experiences as an English duchess in her memoir, The Glitter and the Gold. Despite the unhappy outcome of many such matches, the transatlantic marriage market remains a fascinating phenomenon for authors and readers to study. My novel Waltz with a Stranger was influenced by it. And so was the hit TV series Downton Abbey, in which an English earl and his American countess eventually overcame their mercenary beginnings to form a true love match. So, dear readers, do you know of other stories inspired by the transatlantic marriage market? And do you think such marriages were ultimately a good or bad thing for English society? Comment below for the chance to win an ARC of Waltz with a Stranger. What a difference almost two weeks makes! Since my last post, we’ve begun a new month, gained an hour each day, and reelected an incumbent president. So it seems like a fitting time to start something new on this blog, as well as continuing the ARC giveaway for Waltz with a Stranger. Welcome to the Alphabet Posts, as I blog my way through topics–literary and otherwise–from A to Z. This week, it’s “A” for “Animals” . . . especially animals in romance fiction. Those of us who have pets love them dearly, so naturally we warm to fictional characters who feel the same way about their own. And animals can add a touch of humor, charm, and warmth to a story, as well as illuminate the human characters whose lives they share. The sternest, dourest, most forbidding hero surely can’t be all bad if he has his devoted dog always at his heels, and the most spoiled, capricious beauty can show a softer, more nurturing side towards a cherished cat or pet bird. As a reader, I’ve been charmed by various fictional pets. The cat Bastet who stalks regally through the Amelia Peabody Emerson mysteries, half-companion, half-caretaker to the Emersons’ adventure-prone son, Ramses. 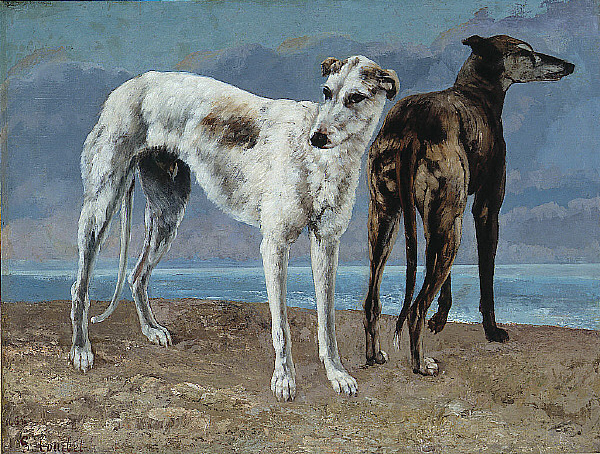 The Merrivilles’ big, sloppy dog, Lufra, in Georgette Heyer’s Frederica. Dodger, the kleptomaniac ferret who enlivens Lisa Kleypas’ Hathaway series. Grim, the talking Tower raven, in Deanna Raybourn’s Lady Julia Grey mysteries. The adorable Labrador trio of Bogart, Newman, and Peck in Nora Roberts’ The Search. But my possible favorite might be Garrick, the shaggy mongrel who, along with his gamine mistress Demelza Carne, joins the slightly ramshackle household of impoverished Cornish mine owner Ross Poldark. Girl and dog change Poldark’s life forever, Demelza ultimately winning his stormy heart, and Garrick enlivening his existence simply by being Garrick. Not that Garrick has anything to worry about. He remains a fixture of the Poldark saga throughout the first seven books–before succumbing to old age “off-camera” before book eight. So, dear readers, who are your favorite fictional pets? And did any of them inspire you to acquire a pet of your own? The winner of this week’s ARC giveaway will be chosen from the commenters below.